Some businesses believe that as long as they produce content on their web site, they will get the traffic and customers they need. But, there is a lot more to content marketing than producing it. Generally speaking, there are two types of content: trending content and evergreen content. Evergreen content never grows old and remains relevant, while trending content drives quick, immediate high traffic and conversions to your site. 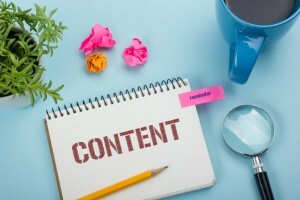 If you want to optimize your content marketing strategy, here are some important benefits to know about evergreen content over trending content. Evergreen content provides the opportunity to include high-profile keywords you want to show off. The content written in evergreen content should be tailored to these high-ranking keywords. Since evergreen content is naturally not time-sensitive, you will notice that it steadily drives increasing numbers of visitors to your site compared to trending content. Trending content is great to get immediate views on a particular day or in a season. Evergreen content, on the other hand, is more general and less time-sensitive. This allows for more and more views over time. Make it a priority to ensure your content is optimized for search engines by using your most effective keywords and key phrases. Doing this will help your business appear at the top or near the top of the search engine’s page so that your prospective customers and visitors can find you easily. The way Google is set up, sites with fresh and evergreen content are rewarded. The search engine giant recognizes the difference between high quality, detailed writings, and trending topics. So, if you have top-quality evergreen content, your site’s SEO rankings will be boosted considerably. Topical content provides you with instant success as it uses keywords and key phrases that users are searching for in that particular span of time. For example, if you are a company that supplies cleaning products, you should focus your keywords on spring cleaning and renovation before and during spring. The reason is that during that time of year, customers are searching for keywords related to this topic. Evergreen content works differently, as it uses keywords that are relatable and relevant all throughout the year. So, whenever a customer searches for that general or basic phrase in Google, they have a good chance of finding you. Furthermore, evergreen content is valuable for months and years. And, you will benefit from long-term traffic from the social media shares and lasting interest. Evergreen content deals with a need and continues to add value to a larger audience. Because of its nature, it ultimately earns the publisher authority on the subject. If your audience trusts you as the source of information, you will be better able to grow your business and turn visitors into paying customers that value your business. Credibility and authority are essential in any industry, so use evergreen content on your site to get your name out there and increase brand awareness. Evergreen content will encourage viewers to recognize you as a thought leader and innovator through your content. If you’re ready to see an increase in visitors to your web site and want to boost your customer base, consider upgrading your content management strategy with the professionals. Numero Uno Web Solutions provides its clients with many marketing solutions such as SEO, ORM strategy development, content audit services, online reputation management, web design and development, and more. We are a content marketing agency that provides WordPress SEO in Toronto, and we specialize in helping small to medium-sized businesses improve their web sites. For years, we have helped clients across the Greater Toronto Area, Texas, Massachusetts, and Florida, boost their marketing strategies and grow their businesses. Call us at 1-855-SEO-XPRT to learn more about the services and expertise we provide at our Vaughan location.